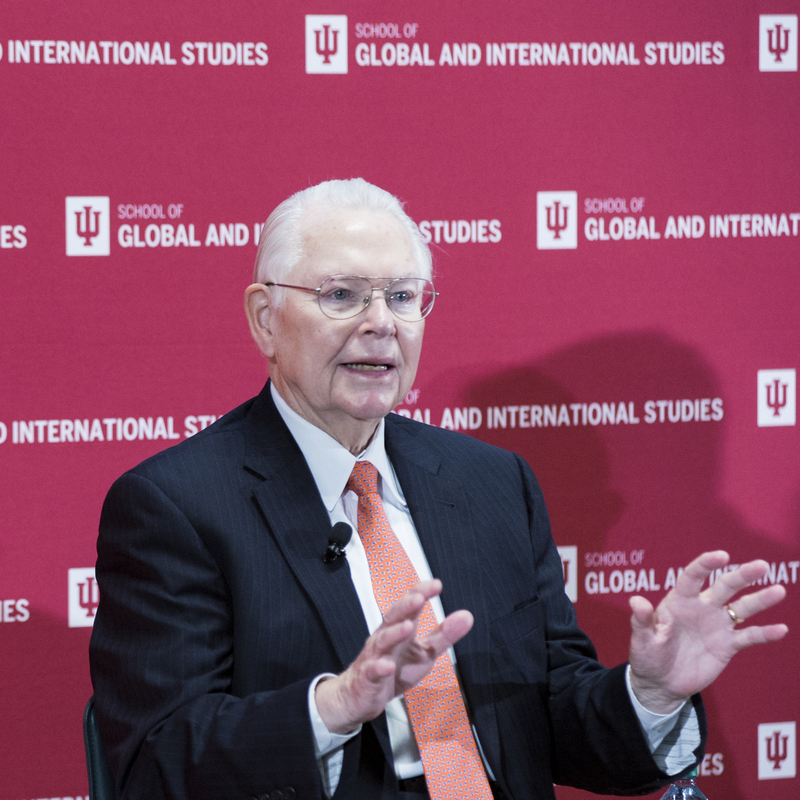 Collins was one of four Russian hands who participated in a session on “Global Russia,” at the third annual America’s Role in the World conference sponsored by Indiana University’s School of Global and International Studies. He was speaking well before President Trump imposed new sanctions on Russian oligarchs and top government officials and suggested that President Putin and Russia may share responsibility for the chemical weapons used against Syrian civilians in Douma. Yet, while the experts on the SGIS panel covered many topics, the utility of sanctions against Russia was a central focus. “The problem with sanctions is that they give Putin a very convenient excuse to point to the West as the cause of the dysfunction of the Russian economy,” said Andrew Kuchins, a senior fellow and research professor at Georgetown University’s Center for Eurasian, Russian, and East European Studies.